An exercise in faith is what Barcelona’s players are asking from their supporters, as they chase an almost impossible dream of turning around a 4-0 deficit. Despite the defeat in the Parc des Princes, the Blaugrana are not giving up and ask for a last vote of confidence and trust. The result on Tuesday was horrendous and, what is worse, the image of the team was very poor. So much so that right now it is hard to believe those who send messages that the comeback is achievable. It is a repetitive speech however, that has been heard from a number of first-team members since Thursday. From Andres Iniesta to Denis Suarez, and right through to Marc-Andre ter Stegen. “The first thing we have to do is to convince ourselves that we can,” said Luis Suarez, the latest player to try and get everyone onside. “We are aware that it is possible because this team has already achieved great things before. In the dressing room, they know that the main role in the comeback is their responsibility, but there is a need for the Camp Nou to create an environment conducive to achieving it. 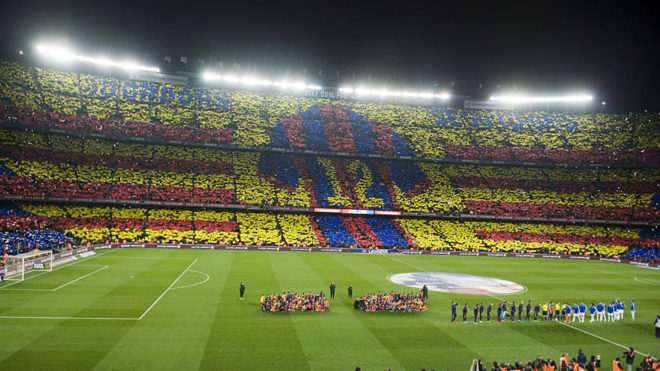 The club is aware that right now the Barcelona public is a little down, so it has been proposed that the next league commitments serve to recover their lost confidence with an objective to re-engage and generate the feelings that existed before the bump against Paris Saint-Germain. To do this, Luis Enrique’s side will be looking for four league wins from the four games they’ll play in LaLiga before facing PSG again: Leganes. Atletico, Sporting Gijon and Celta Vigo.